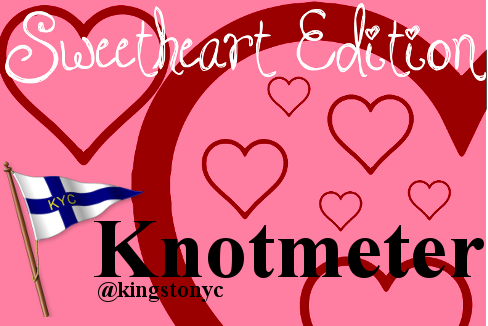 Still trying to figure out what to do for Valentine's Day? Captain Patrick Toomey's Account of Traversing the Northwest Passage from Greenland to Alaska by Luxury Motor Yacht “Latitude” in the Summer of 2014 Click here for event info. The rink being prepared in time for Yachtalude! Special thanks to Andrew Kelm for clearing a surface for us. Here we are in the thick of winter having just finished the first, exciting regatta of the year! The 2015 DN Gold Cup World Iceboating Championships were held here January 23-27. KYC was host to almost 100 competitors from as far away as Poland (who turned out to be the eventual winner). The conditions could not have been more perfect and I highly recommend watching the amazing drone video that is currently posted on our website www.kingstonyachtclub.ca. Our visitors were so enthusiastic about the warm welcome they received from our members and staff: it was lovely to hear their words of appreciation. Hosting this regatta would not have been possible without the hard work of the following KYC member volunteers: Matt White, John Curtis, Rob Colwell, Todd Morris, Sean Marshall, Nick Schwenger, Gord Crothers, Tim Irwin, Steve Black, Connor Mackenzie, Andrew Faurschou, Ben Tripp, Jeff Gibson, Crystal Wilson, Megan Willoughby, Todd Morris, Rick Lockett, and Ralph Shaw. Thanks to everyone for jumping in at short notice to help the regatta organizers launch this incredible event. 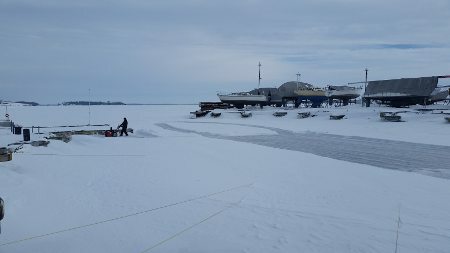 As I’m sure everyone knows, there is always behind the scenes lobbying and research done in choosing a venue: thanks also to the local iceboating fleet for spreading the word about conditions here in Kingston. The month of February brings some fun events for members of all ages. Beau’s Febrewary is already underway at the bar with new tastes on tap and in the fridges. 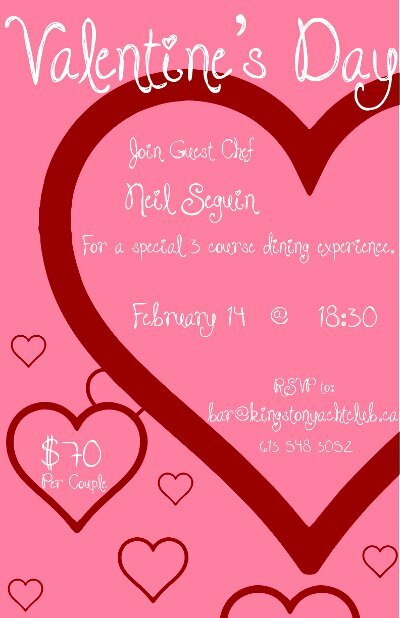 Greg, Brett and James are taking reservations for our Valentine’s Dinner Saturday the 14th, showcasing the talents of our guest Chef Neil Seguin. Chef Neil is currently at Chez Piggy, however the KYC team have been able to secure his talents while the other restaurant is on some down time. Close on the heels is KYC’s first annual Yachtilude – a KYC winter celebration on Family Day, February 16th. There will be outdoor/indoor activities for the kids (we will also be featuring “Into The Woods” beginning at 1330) what a great opportunity to enjoy winter. 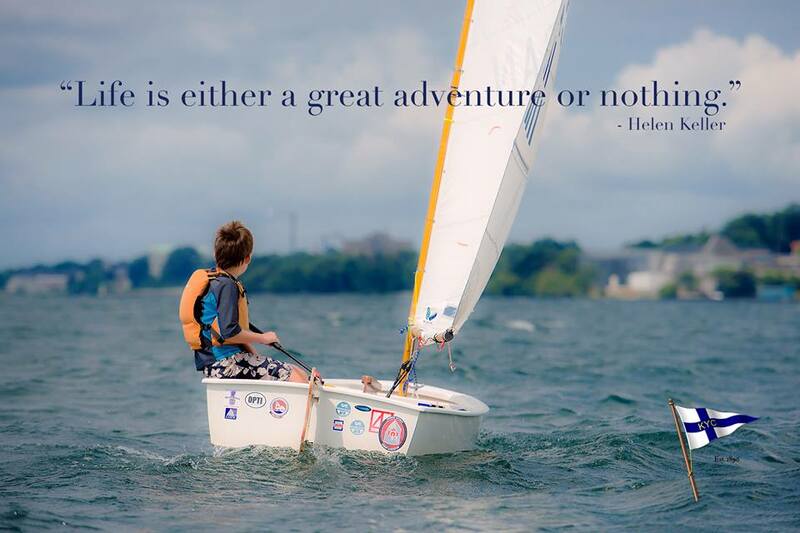 It is just a few more months to launch and we plan to keep the Club hopping with activities to keep our sailing family connected. I hope to see you all in the weeks to come.